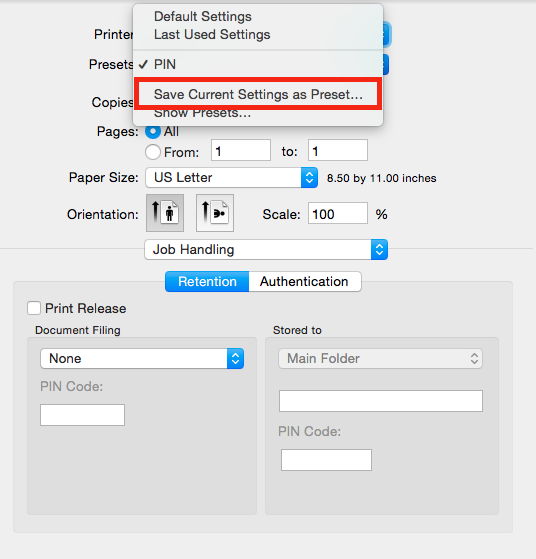 Printing to a district or site printer may require a pin to be configured for authentication. 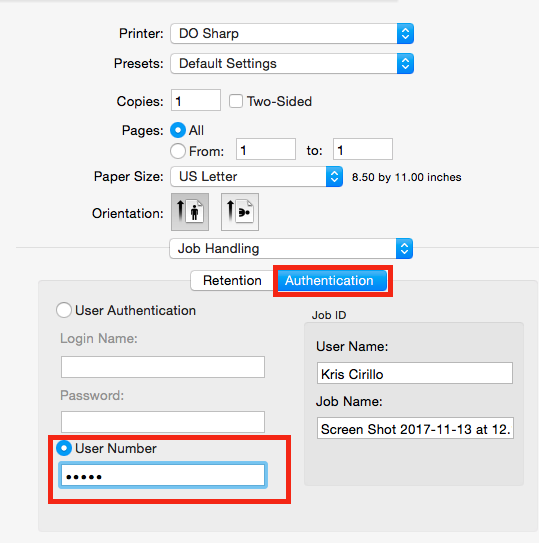 Below are the steps required program the pin on an Apple computer. This only needs to be done once then the system remembers the pin. 7. Click "Okay" and the pin number is now set. 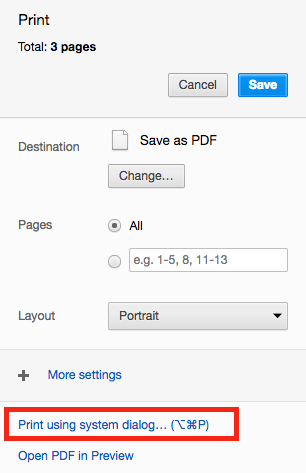 Note: When printing from Google Chrome, you will need to take an extra step to print the page. 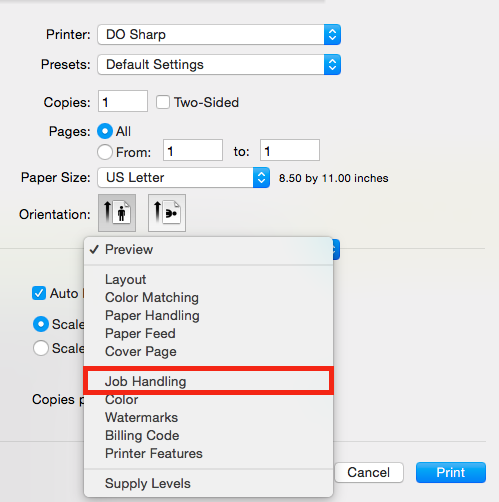 Choose the option to "Print using system dialog..."
There is a workaround for this to disable the Chrome print window and go straight to the normal print window.